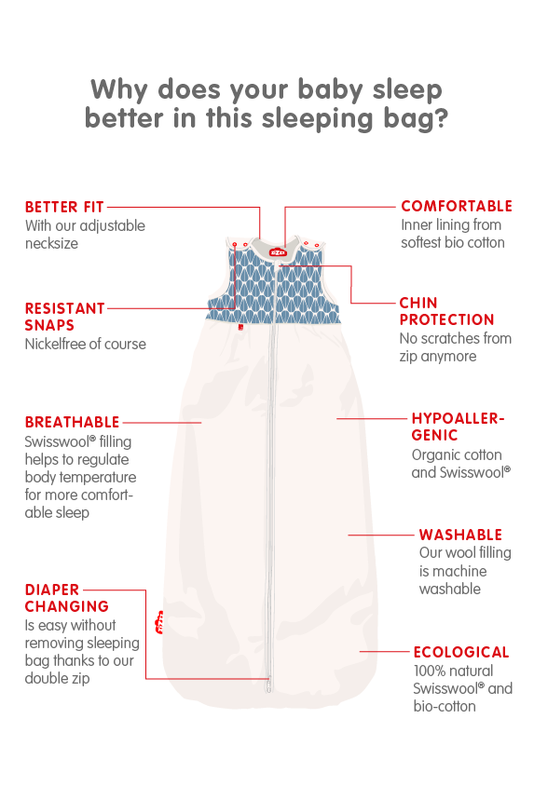 Breathable Swisswool padding helps to regulate the body temperature, allowing for quieter and deeper sleep. With our practical double zipper, you can change your toddler’s nappies without removing the sleeping bag. A great alternative to duvets, which can be easily kicked off during the night. Ideal for Children from 2 to 4 years. Blue foliage is known to blend into all types of environments, as our sleeping bag adapts to all seasons. This sleeping bag will accompany your baby through the entire year, from fall to winter, from spring to summer. This new tint of blue is slightly lighter than the previous one.